Artist’s Statement. I have been drawing ever since I was a child. In elementary school, high school, and college I took art and design courses – and this led me to a career in graphic design, advertising, and marketing. Being involved in these professions I’m always dealing with attracting the viewer to a page (display, wall. screen) in order to design materials to market a product or service for my clients. 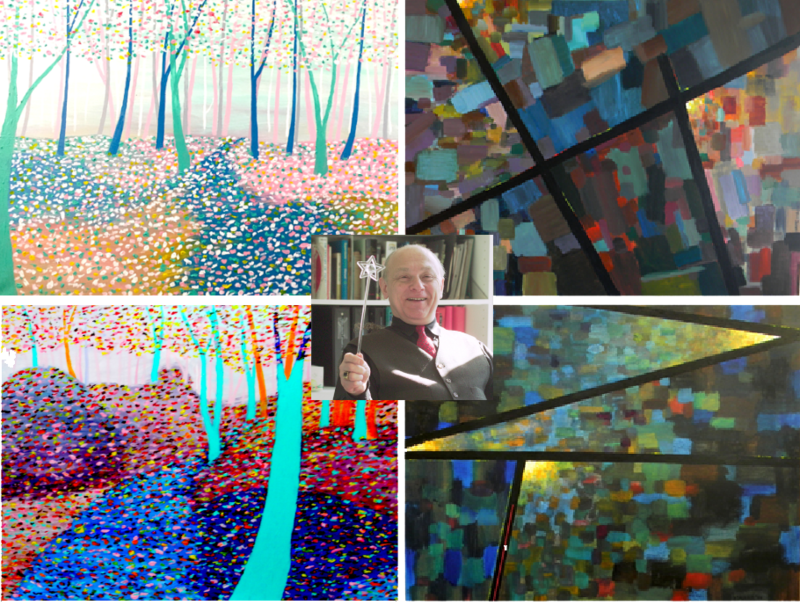 I’m attempting to do the same in my paintings by dealing with the way the viewer’s eye relates to both light and dark colors – and how it can be made to travel within the canvas area. I began developing this series of paintings in 2009. Some of these paintings are displayed on this page. If you are interested in purchasing a painting, please contact Nate.